This book makes the unconventional claim that all of the rights in the U.S. Constitution are unified since they are derived from the same sources. 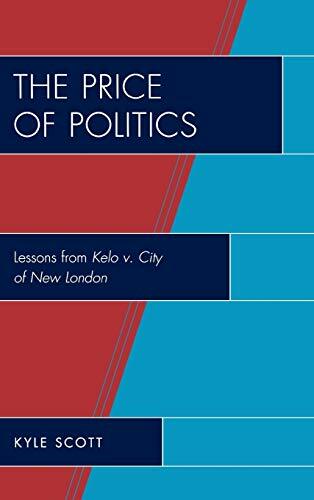 Using the U.S. Supreme Court's controversial decision of Kelo v. City of New London to explore one of the most important constitutional questions of our time, this book reaches across disciplines and subfields to bring forth an innovative understanding of rights. The book derives its understanding of rights from historical sources and philosophical texts which then serve as the basis for the empirically backed claim that rights in U.S. have been sacrificed for partisan gain and that the unbiased protection of rights is the only manner in which a free and equitable government and economy can be sustained. Given the theoretical and practical implications of the property rights debate, understanding it is important for everyone in the U.S. and abroad. Kyle Scott is assistant professor of political science at the University of North Florida and author of Dismantling American Common Law: Liberty and Justice in Our Transformed Courts.